From Montgomery, Alabama, the 6’1″, 340 lbs Henderson decided to stay close to home to play for Alabama State University. Henderson spent all four years in a black and gold jersey. As a defensive tackle, Henderson played in 45 games and finished with 127 total tackles, including 62 solo stops. He also recorded 39.0 tackles for loss for 129 yards. 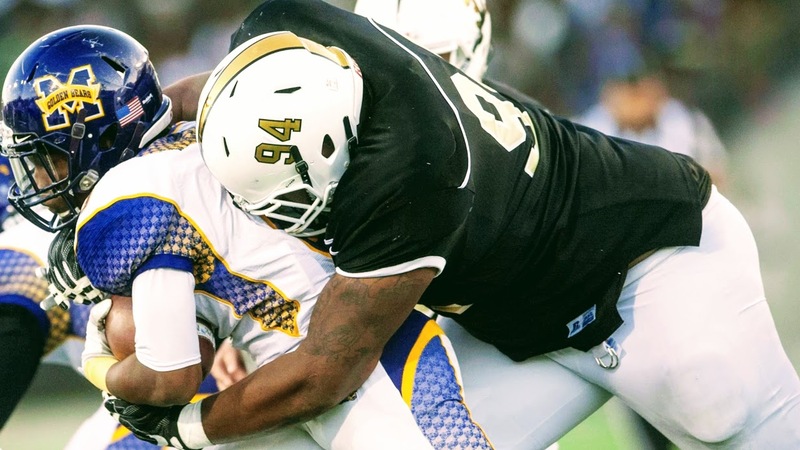 During his senior season, Henderson was selected to represent Alabama State at the National Football Players Association (NFPLA) Collegiate Bowl. An All-SWAC Second Team selection on the defensive line, he finished with 35 tackles, including 12.5 tackles for a loss of 36 yards. Also, he recorded one sack and six quarterback hurries while blocking a pair of kicks. Undrafted in 2017, “Ghost” Henderson signed on with the Tennessee Titans. In 2018, the run-stuffing nose tackle will bring his tenacity and massive frame to The Spring League to prove to NFL scouts he belongs on football’s greatest stage.